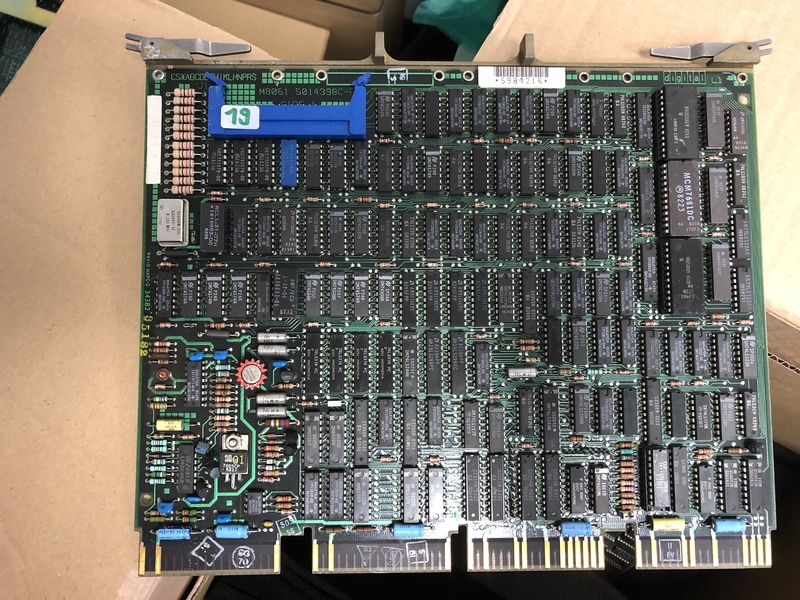 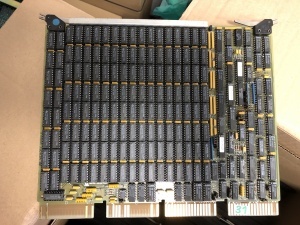 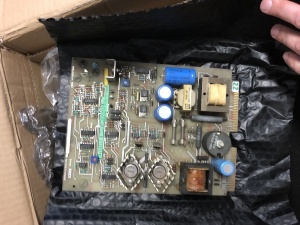 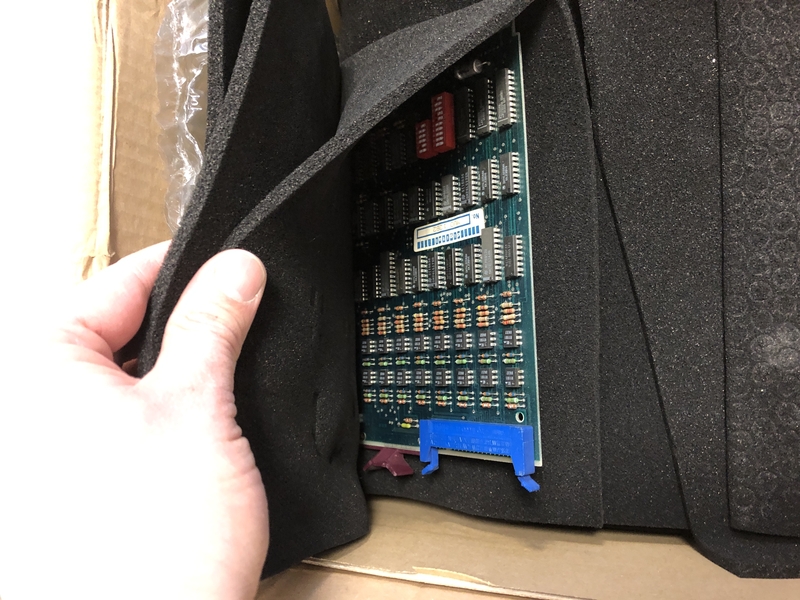 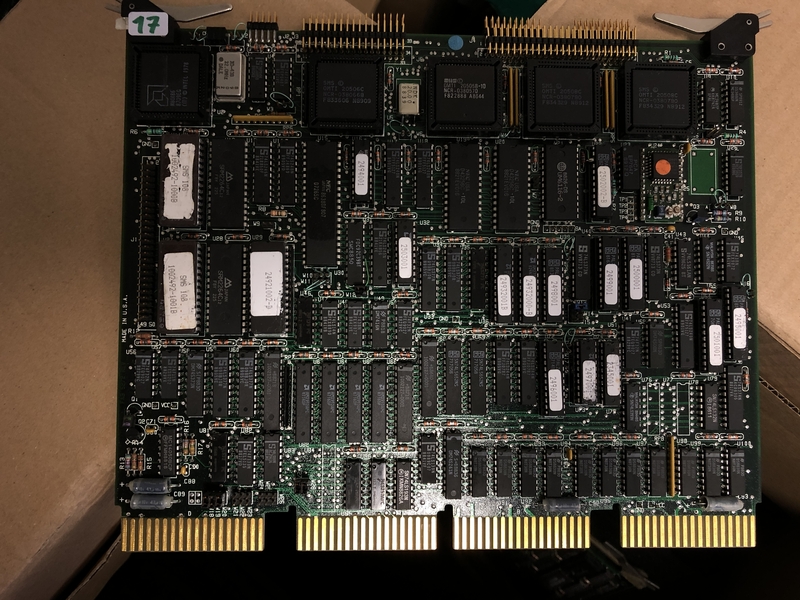 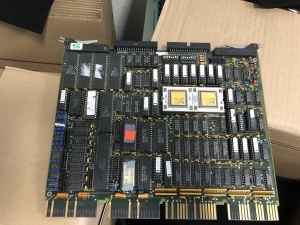 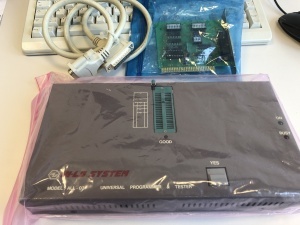 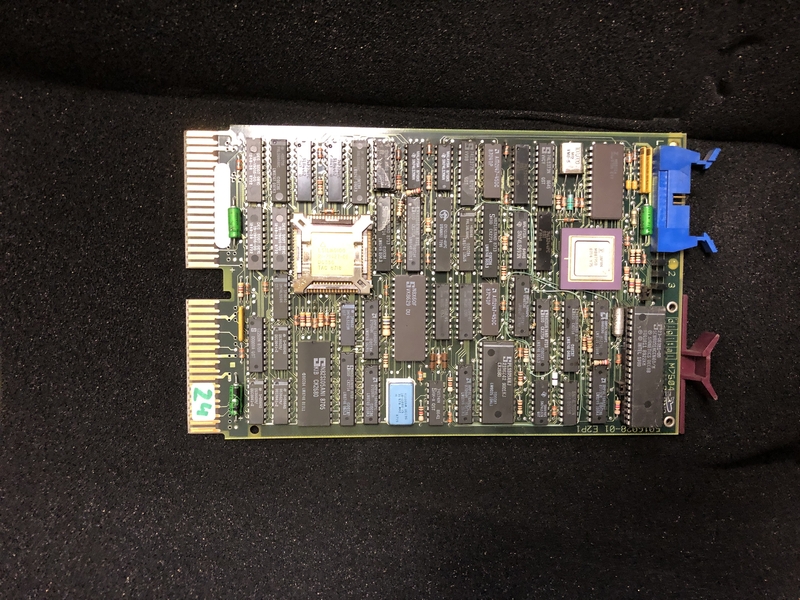 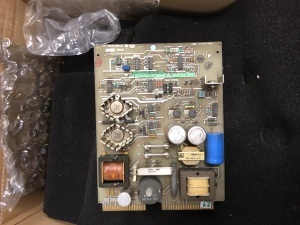 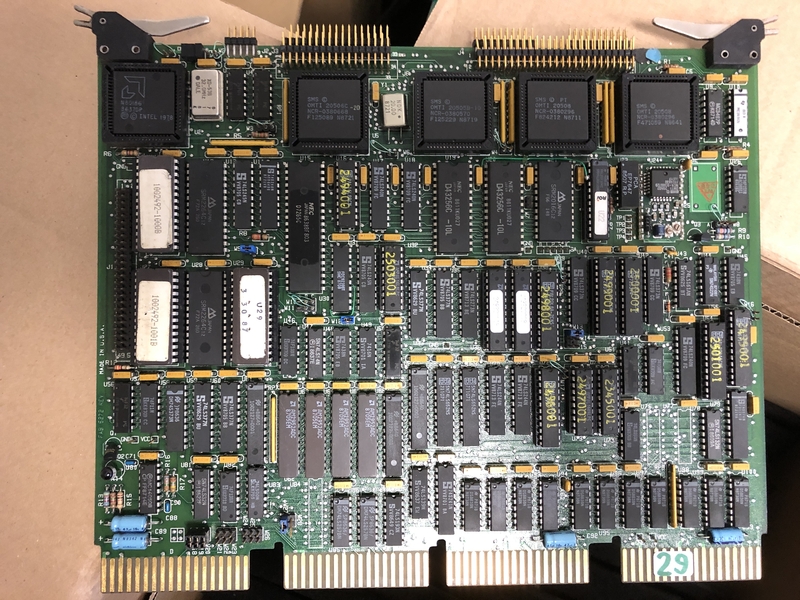 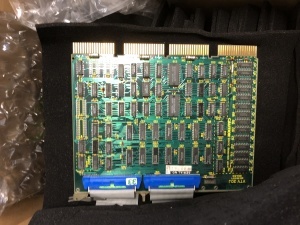 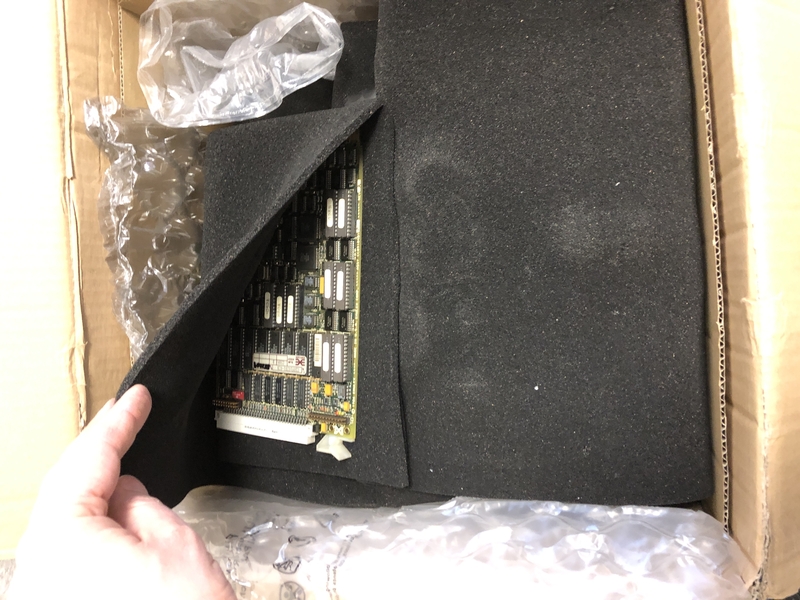 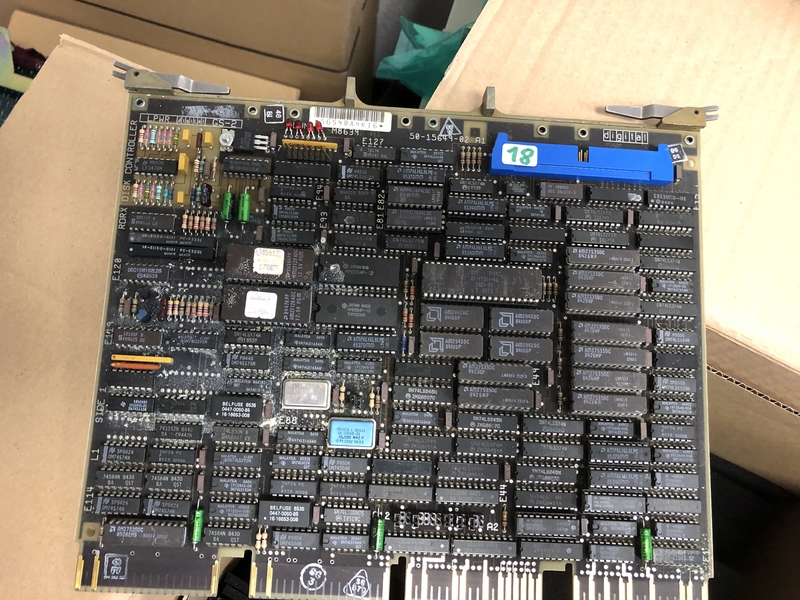 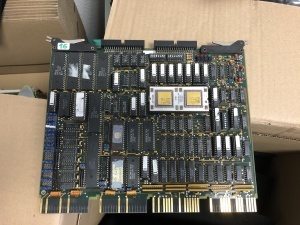 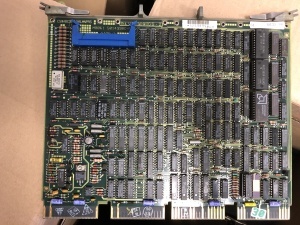 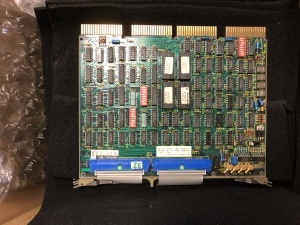 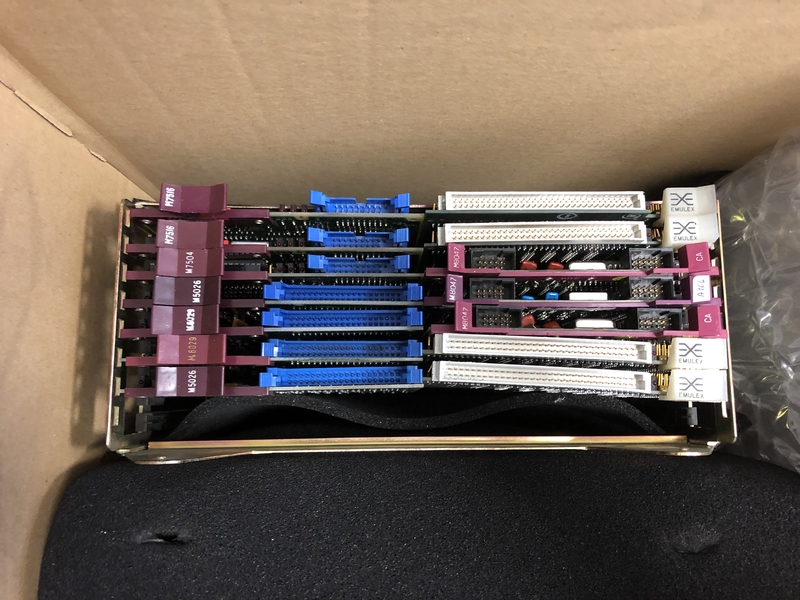 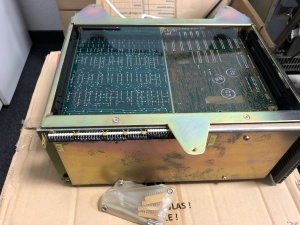 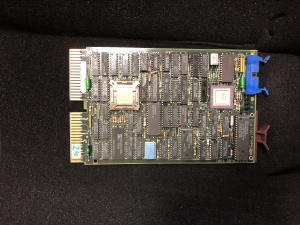 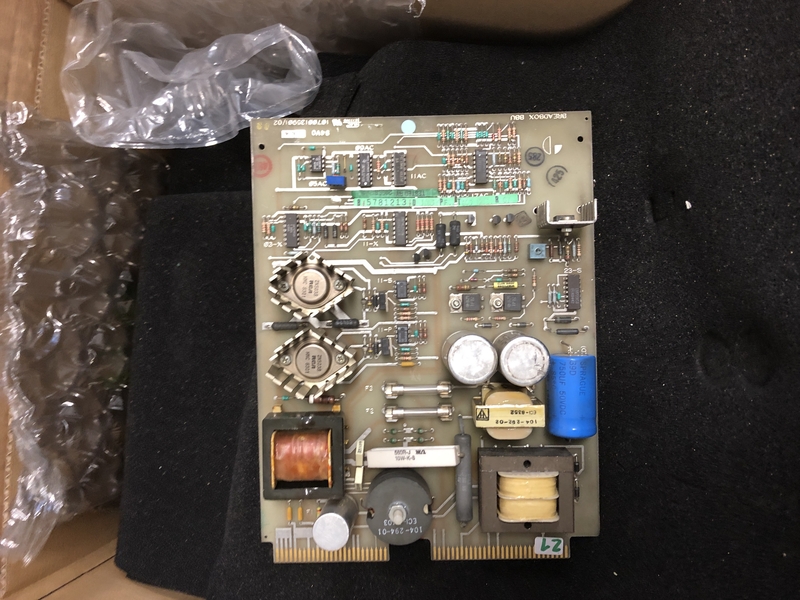 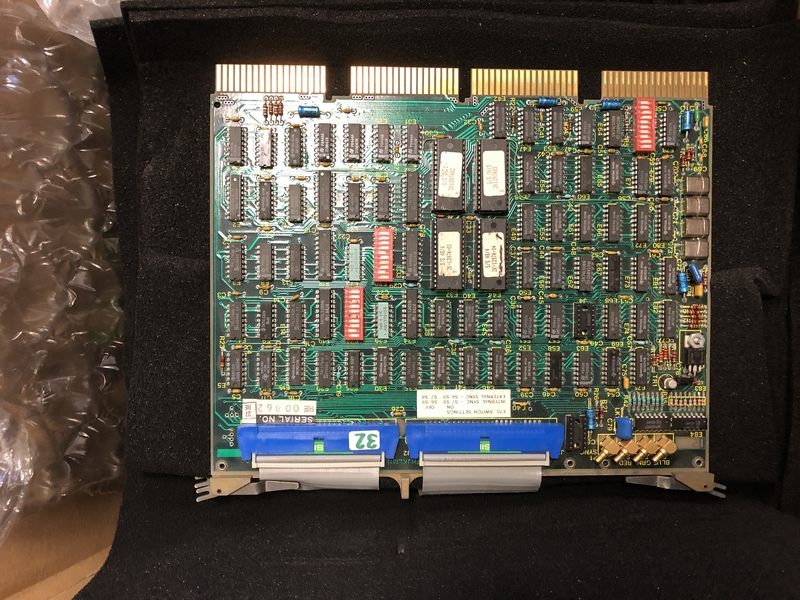 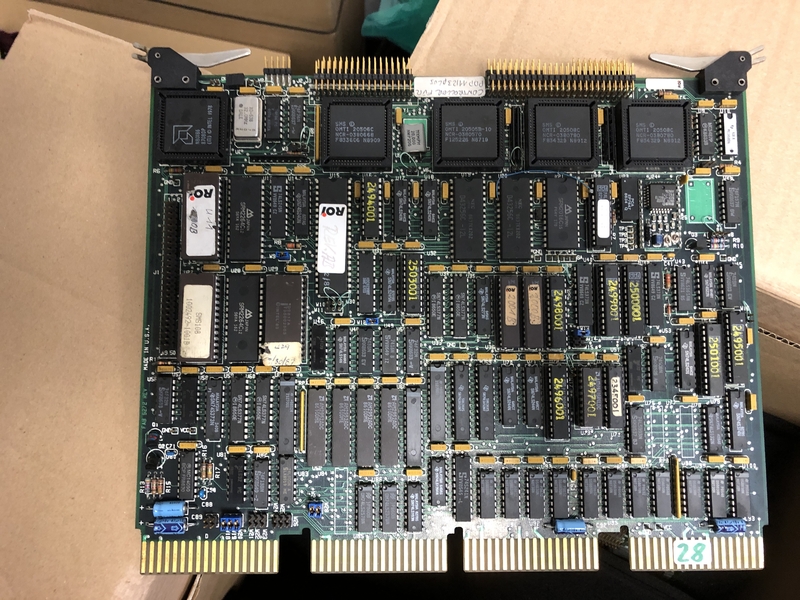 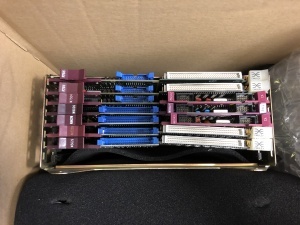 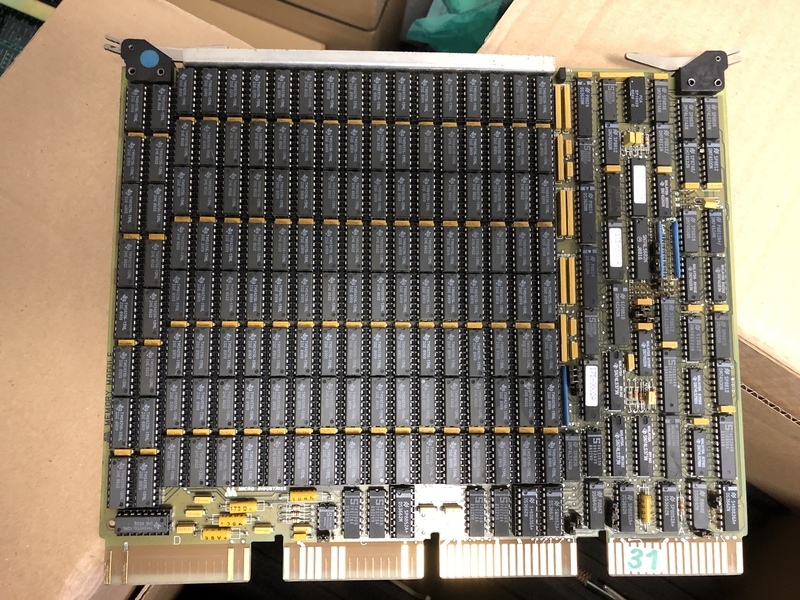 A Hi-Lo All-03 with 8Bit Isa Card has arrived. 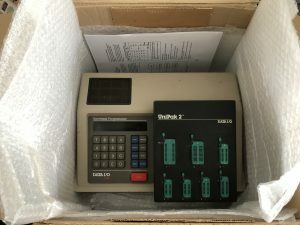 Thanks to a colleague who has picked up some DEC/ROI stuff for me in Austria. 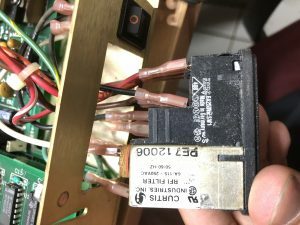 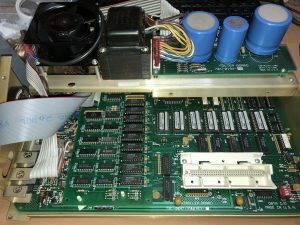 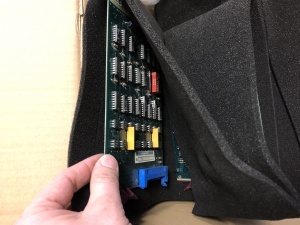 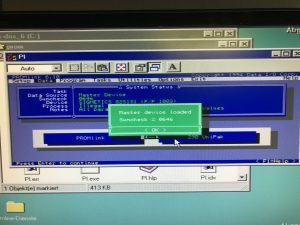 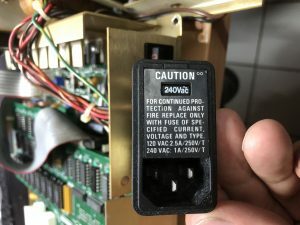 Programmer support for an Apple 1 re-build. 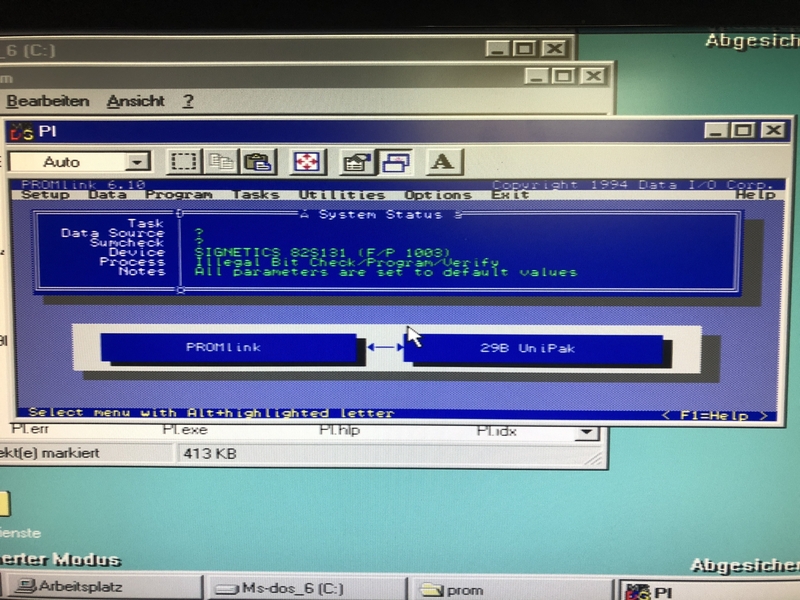 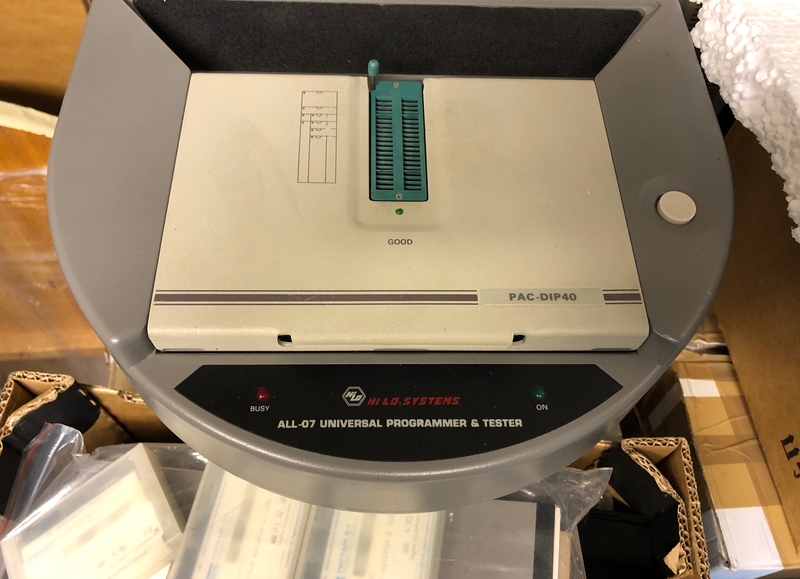 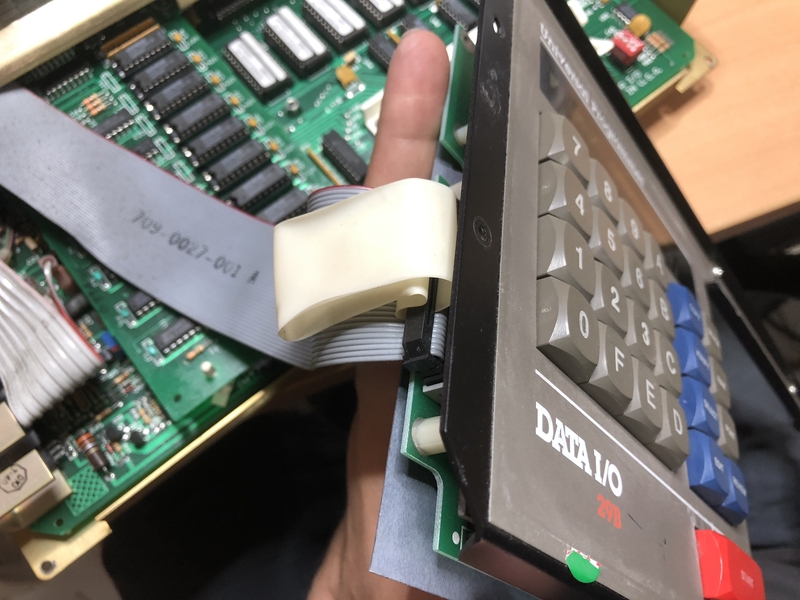 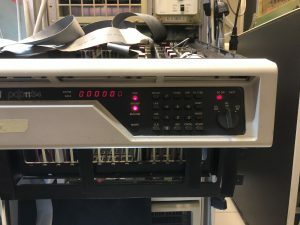 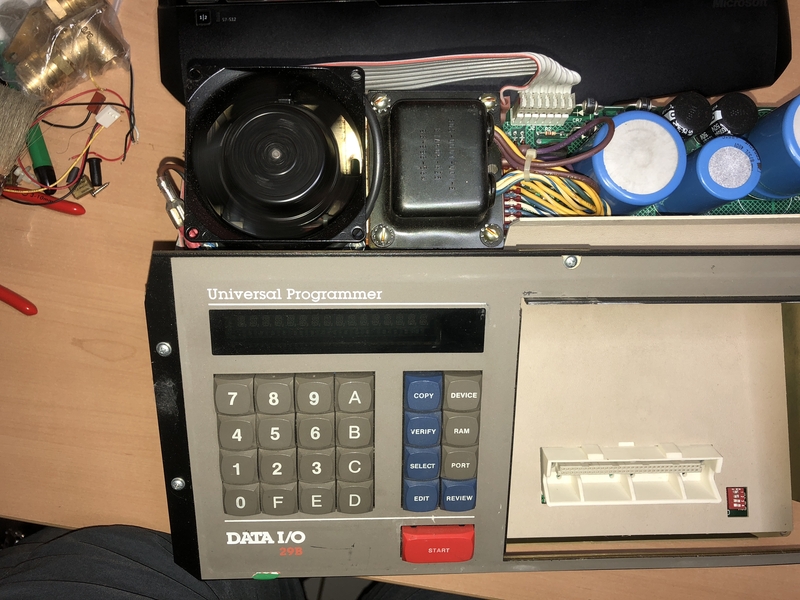 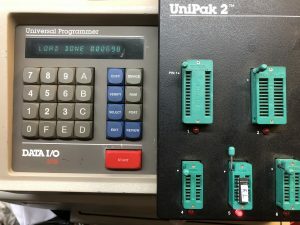 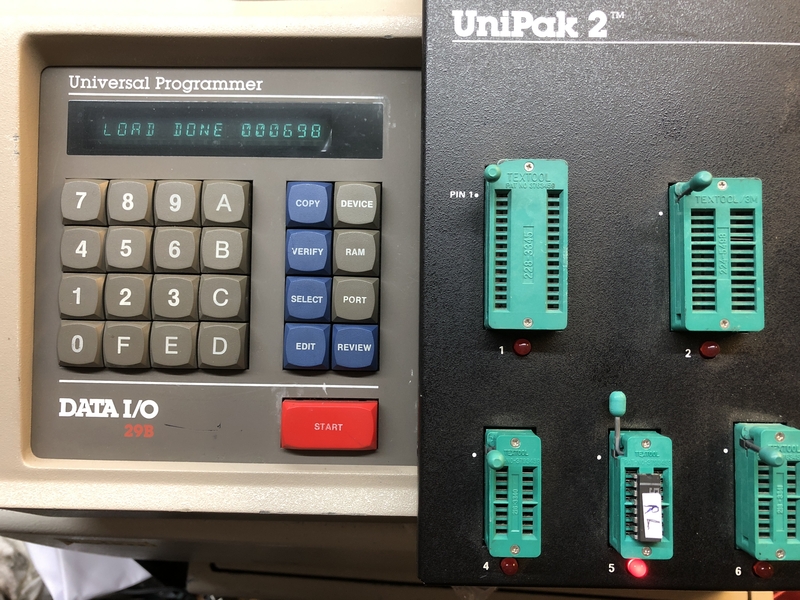 Written Woz Mon and Apple 1 Cassette Interface Proms of type AMD/NMI 6301 and Fujitsu 7052 with Data I/O 29B and Unipak2. 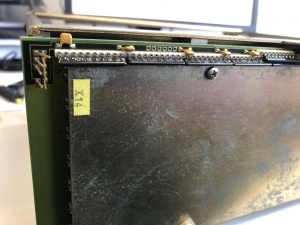 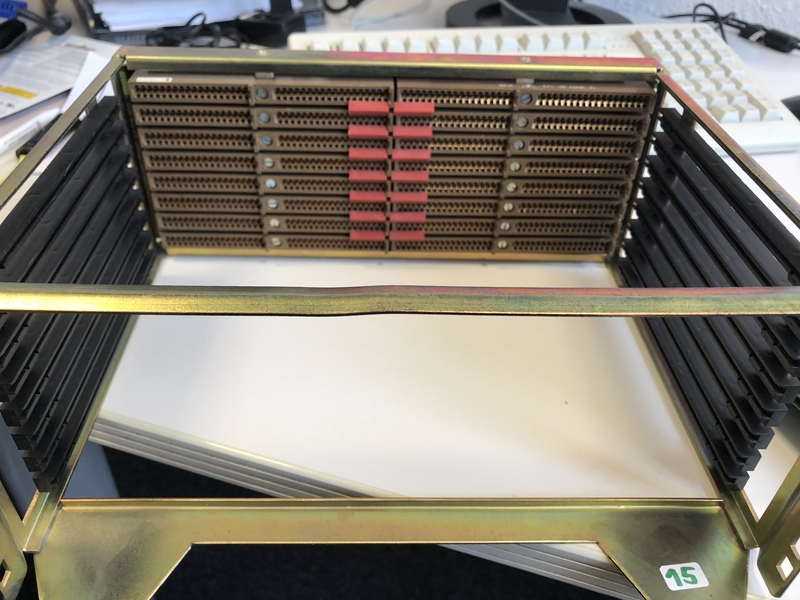 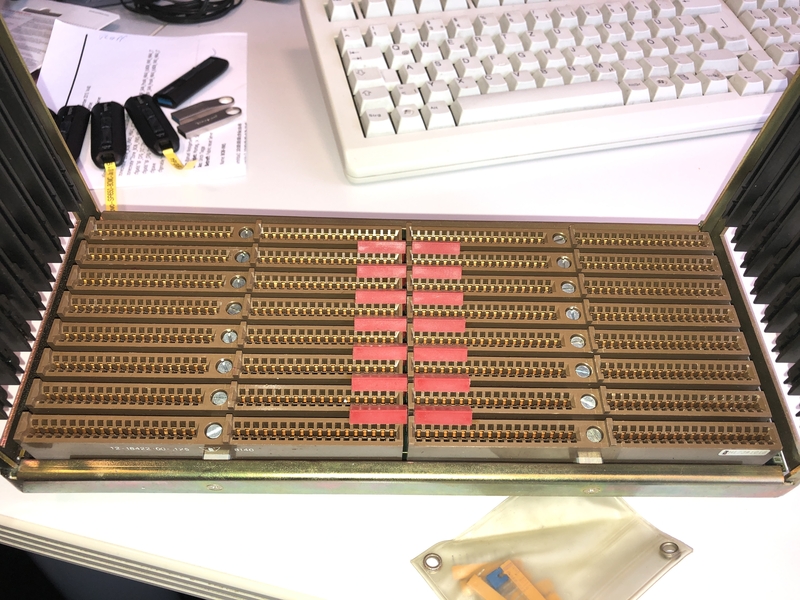 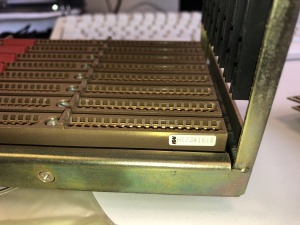 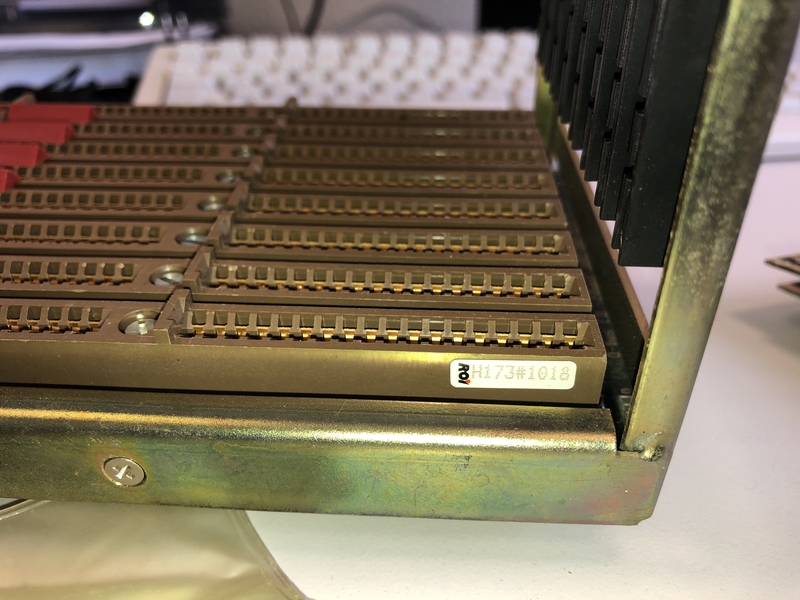 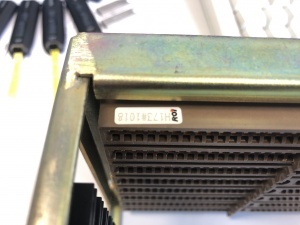 Apple1-Roms in Type 10/Binary and Intel/Hex format. 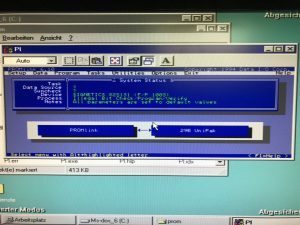 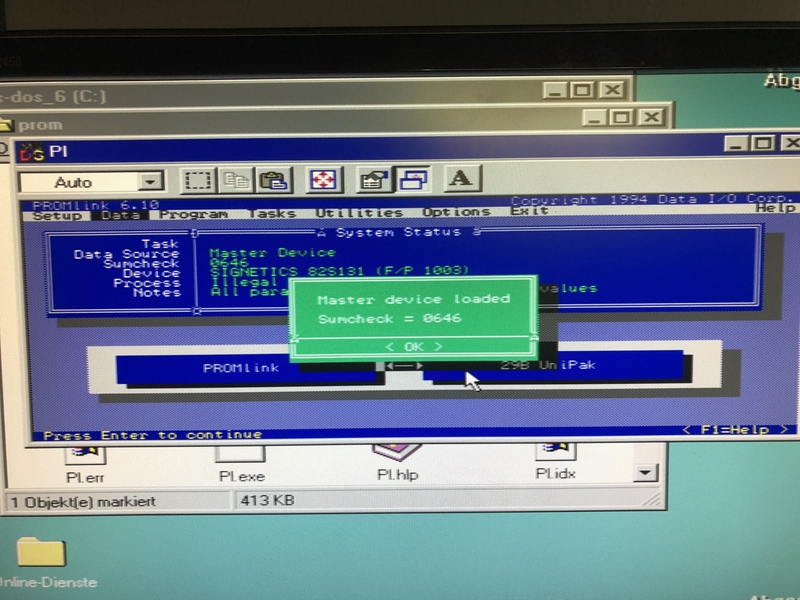 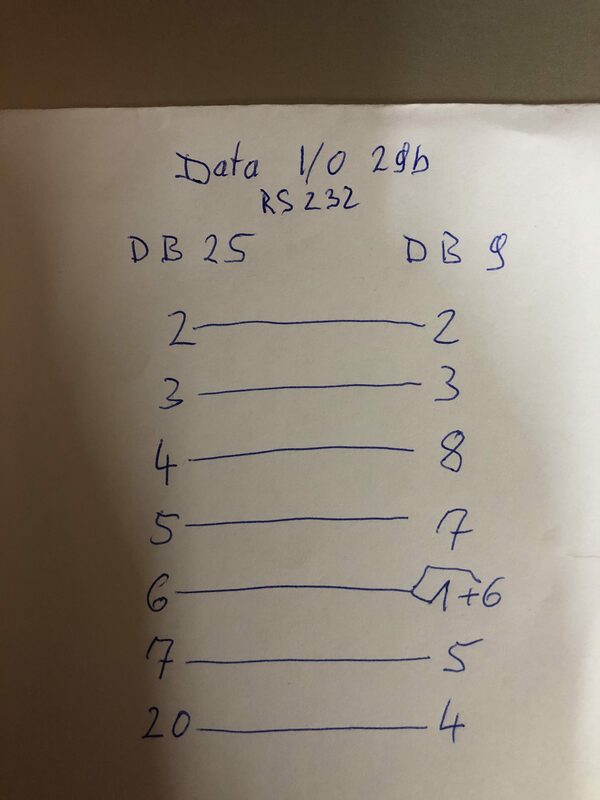 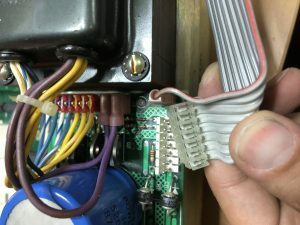 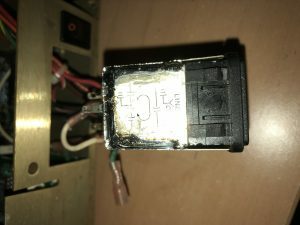 Today, I have build a Serial Cable, to connect the Data I/O 29b to an old PC. 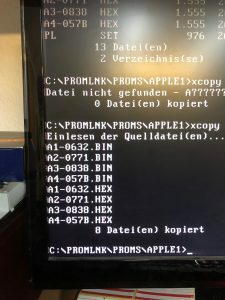 Here some screenprints of the PROMlink 6.1 Software. 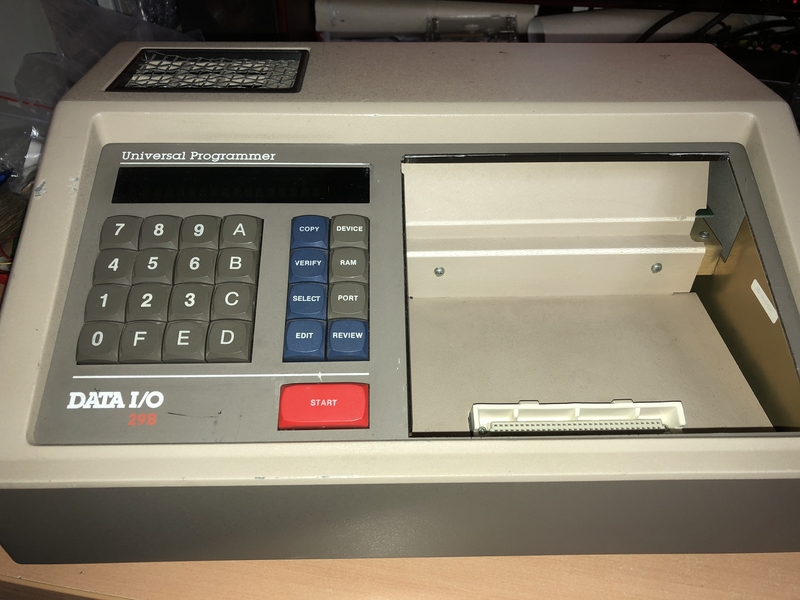 I’m now able to transfer dumps via this PC, to the Data I/O, to burn them. 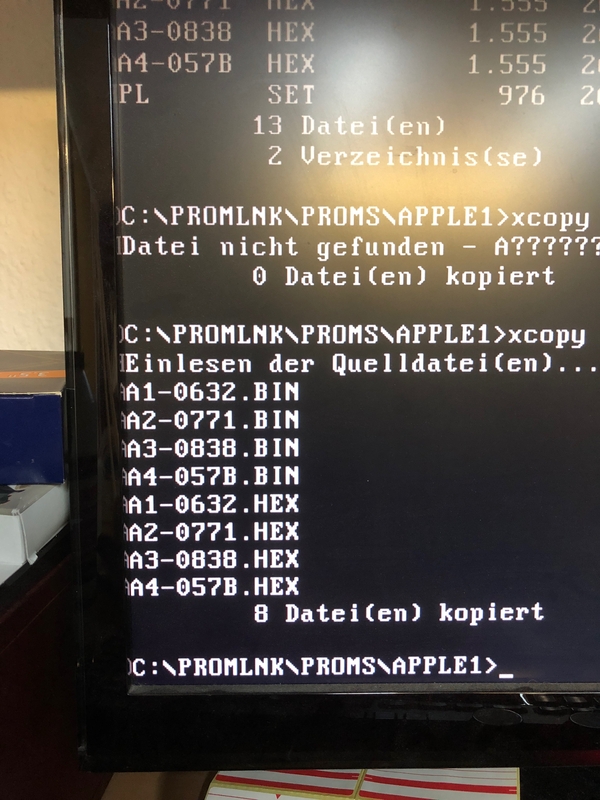 Since a long time I have searched for a way, to write BootProms for my PDP’s like the 11/34, /24 and the /44. I had some luck, and have got 30 Bipolar Proms Signetics (82S131N) in NOS state. 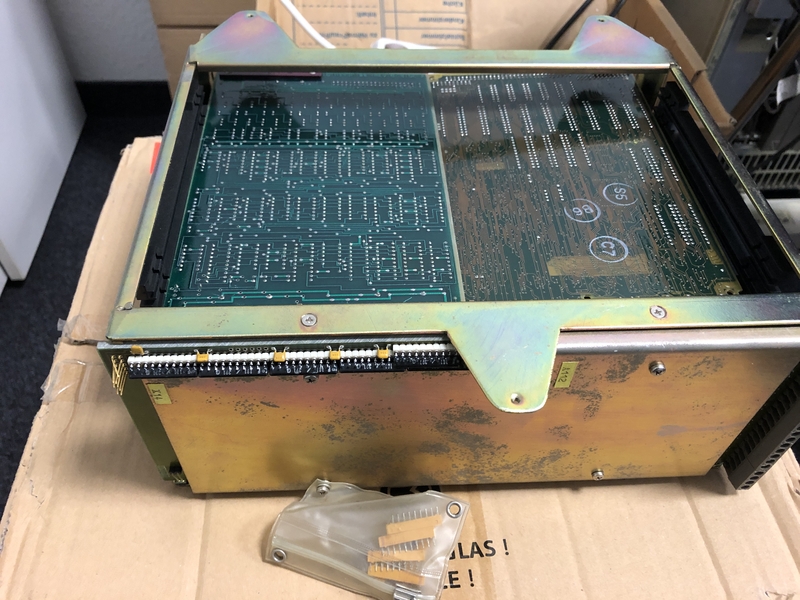 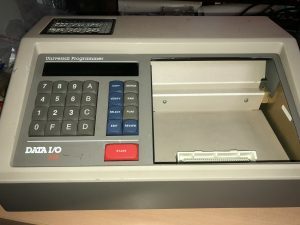 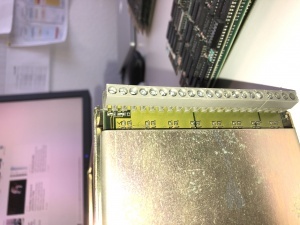 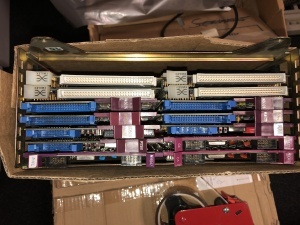 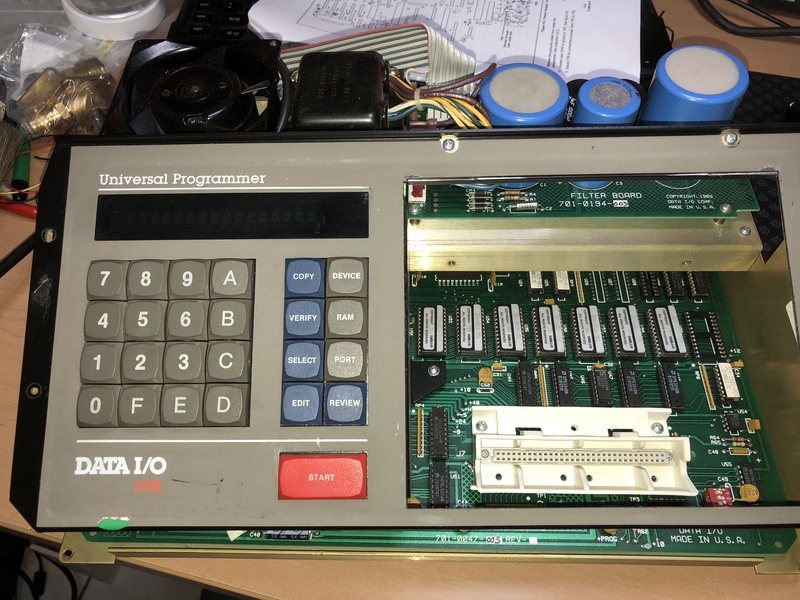 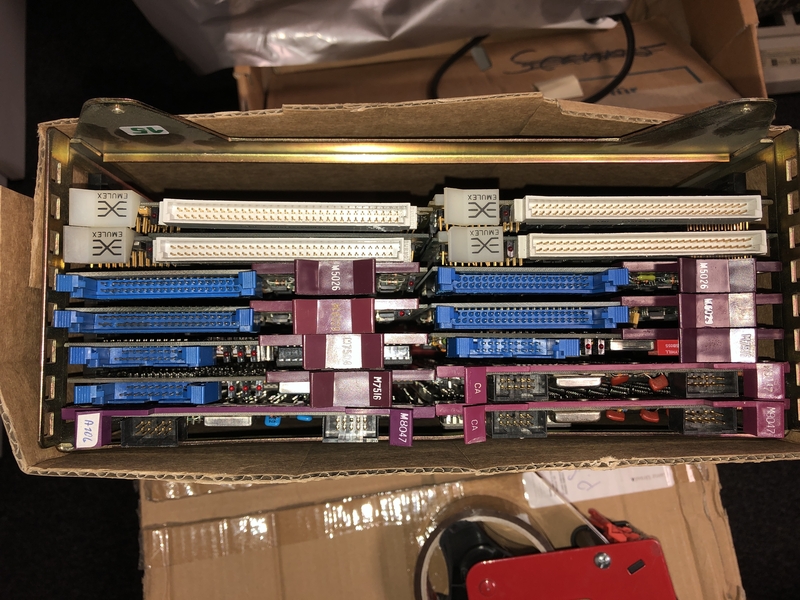 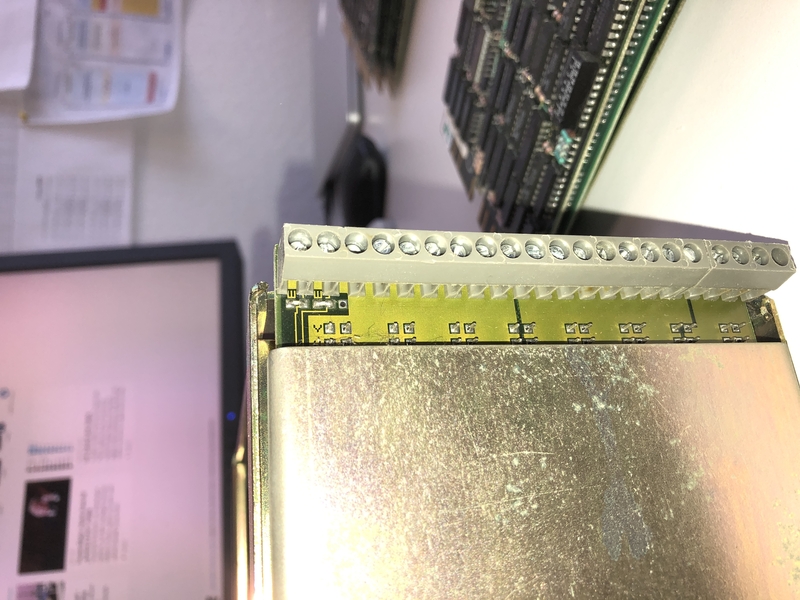 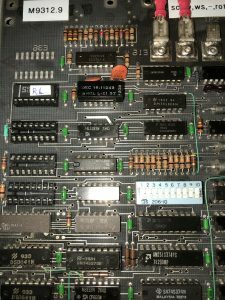 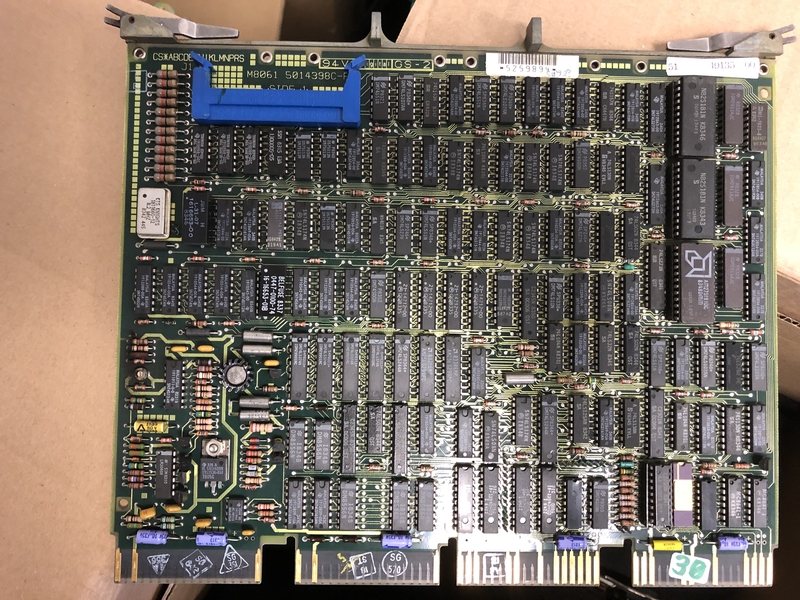 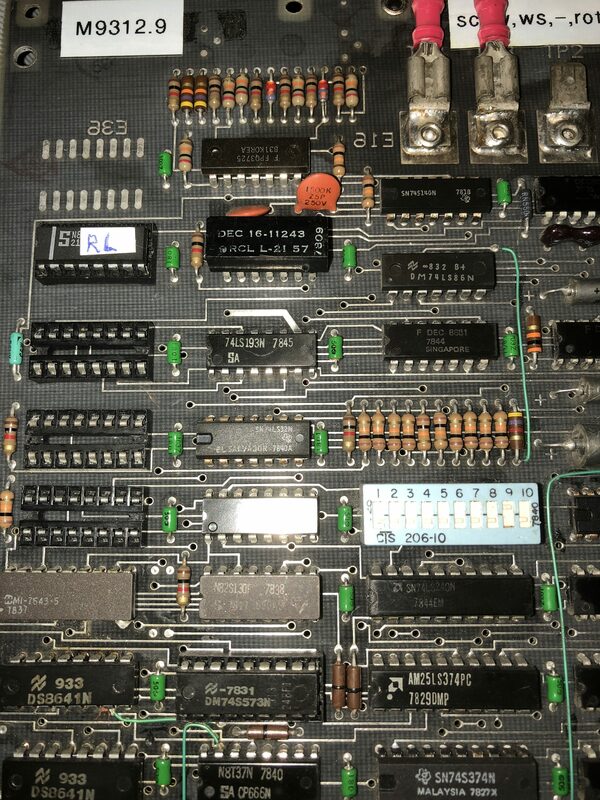 One week after In was able to acquire the BProm’s I have found an Data I/O 29b in ebay UK, and was happy to be the bidder who got it. 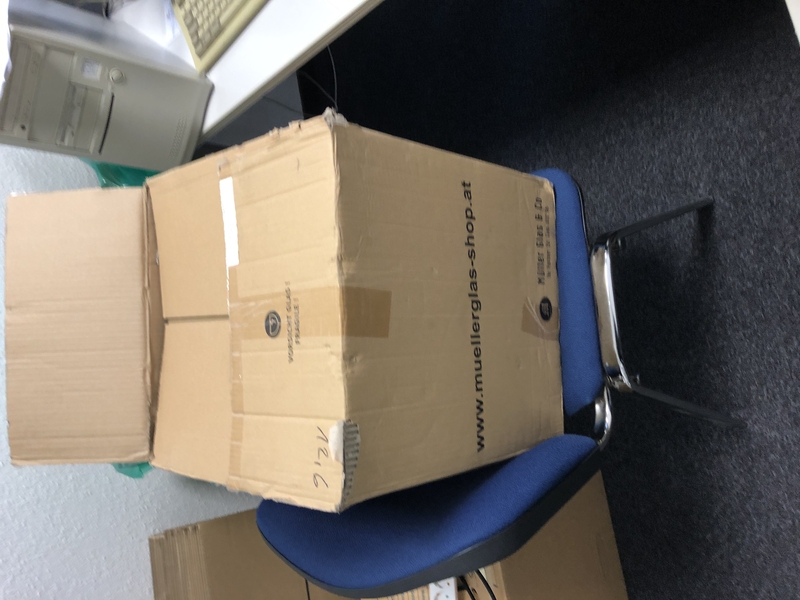 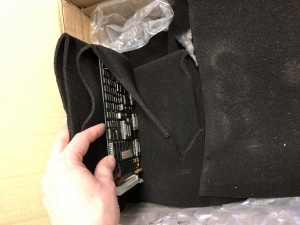 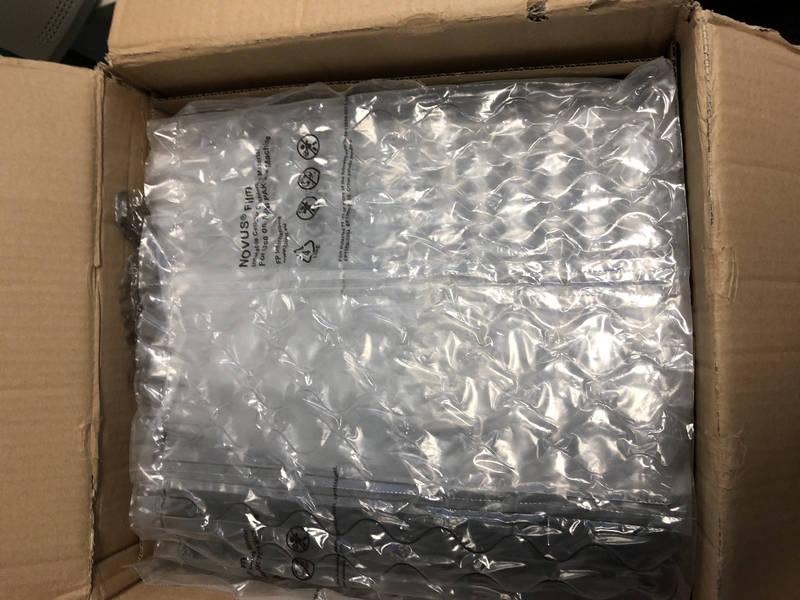 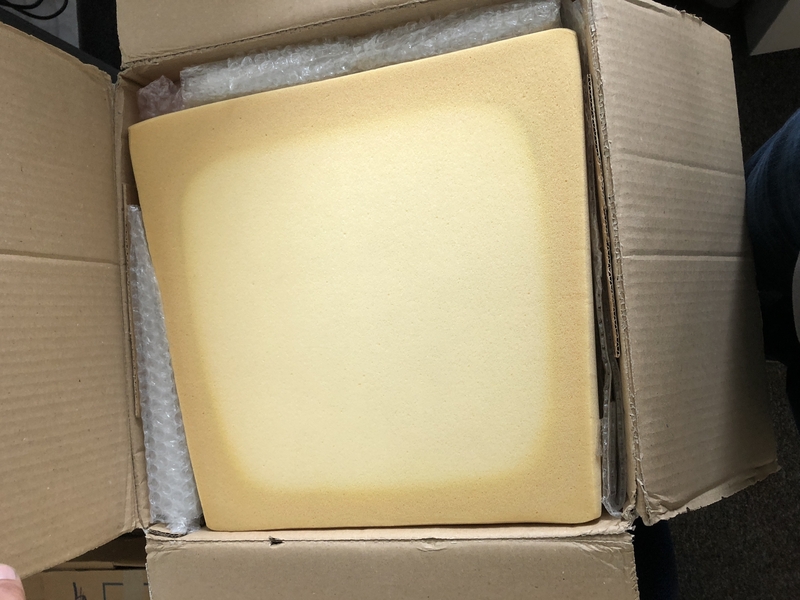 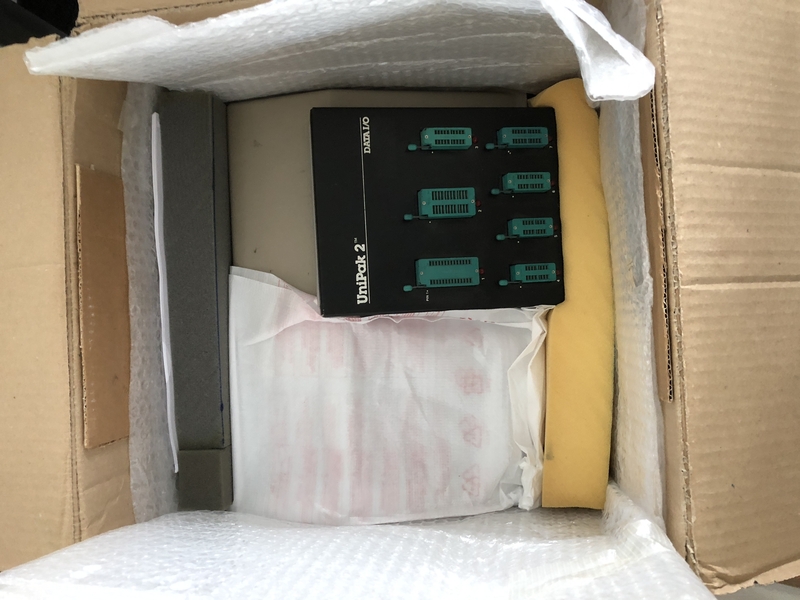 Packaging was good, the contact and communication was more than perfect, so that the Programmer arrives here after two days on the road via DPD. Yes DPD! And it was with about 20 Pound the cheapest possibility to get them to Germany. A first check-up and some Cleaning later I have copied a DEC RL01/02 (23-751A9) BootProm to a NOS 82S131. 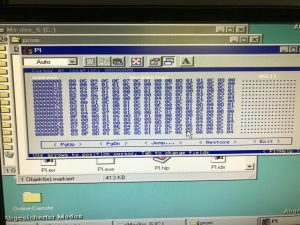 The Checksum fits, and all was running good. 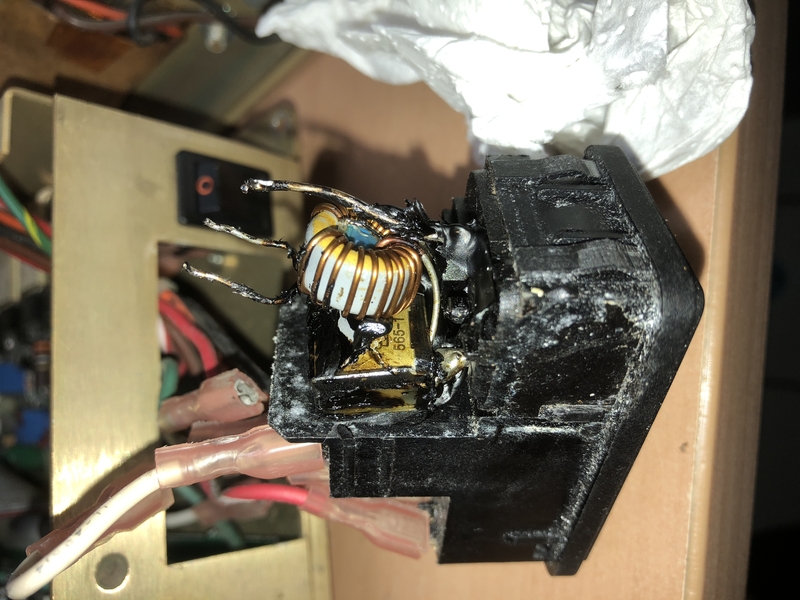 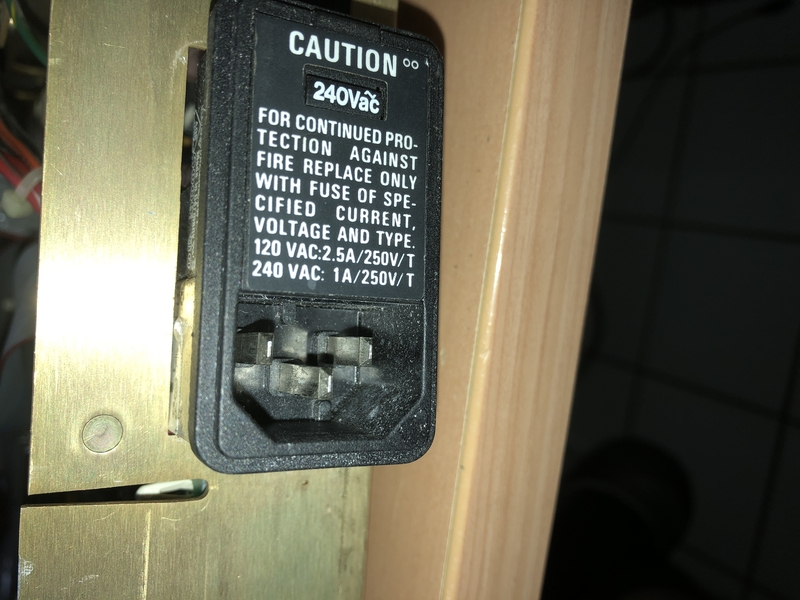 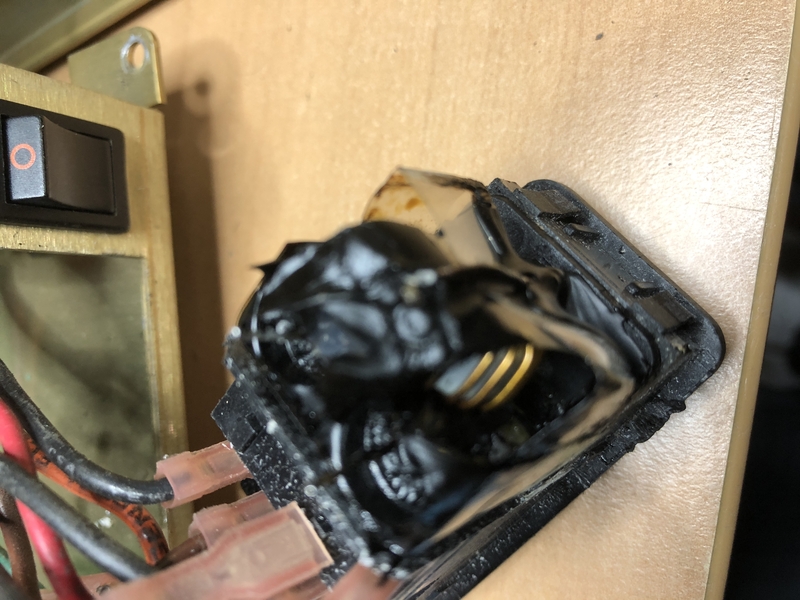 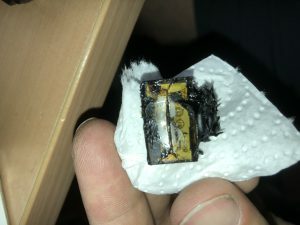 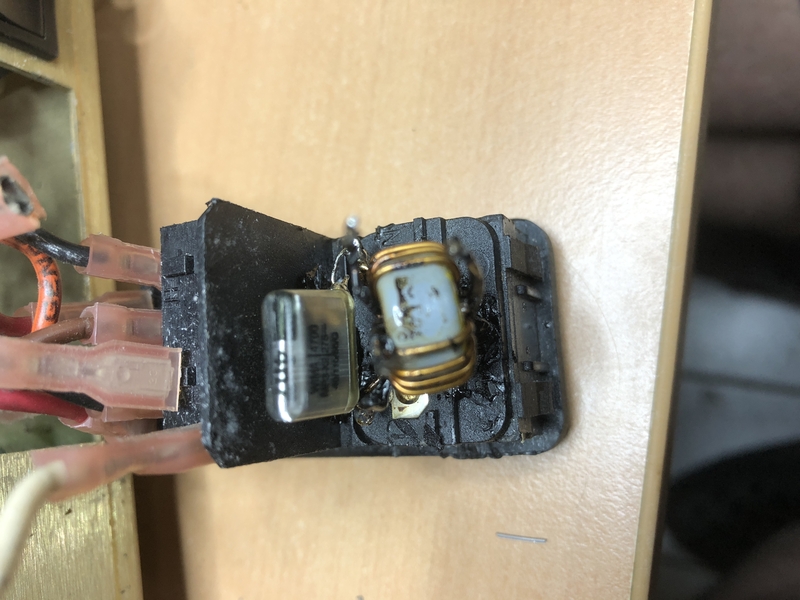 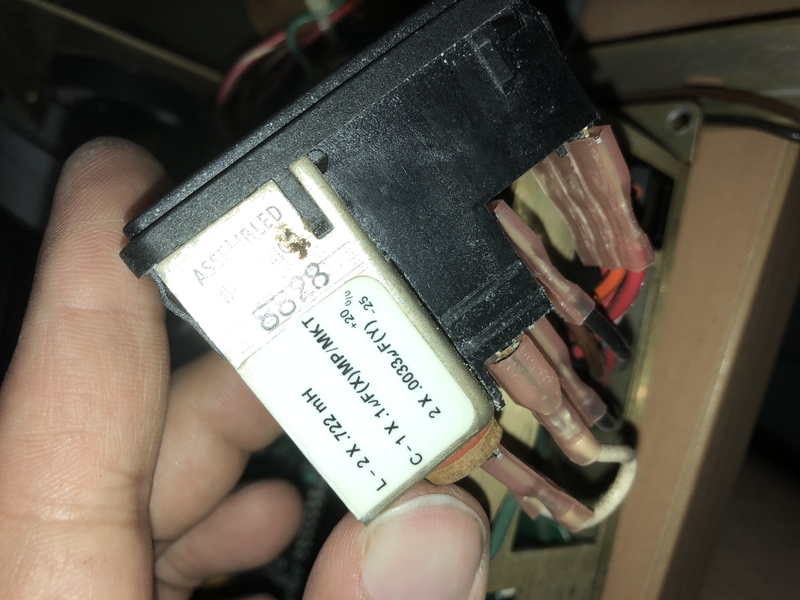 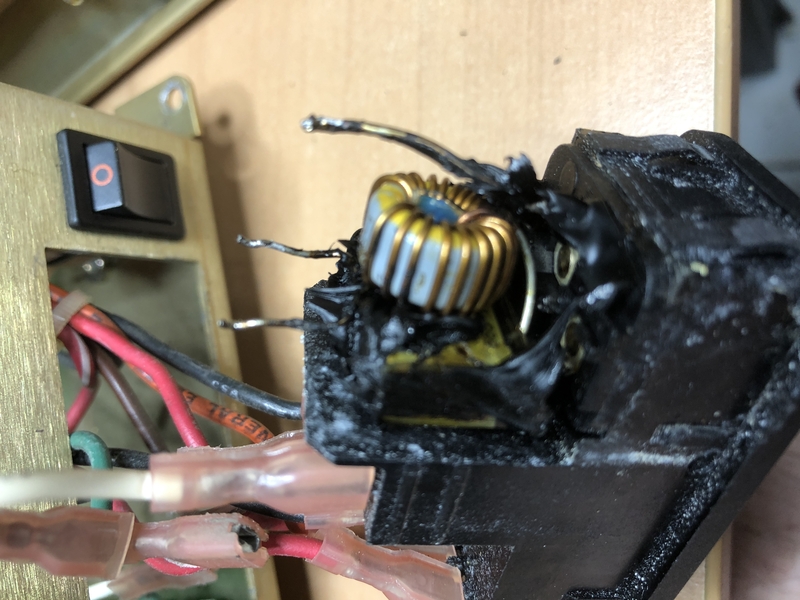 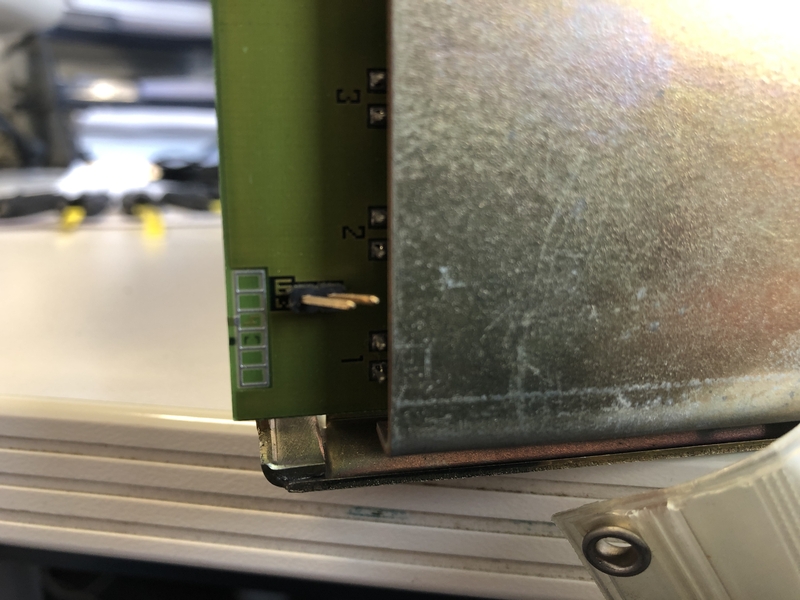 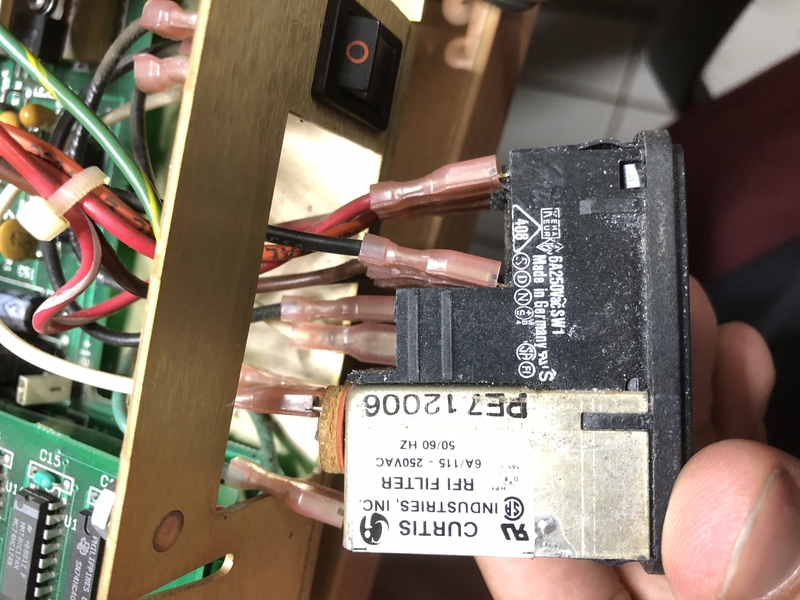 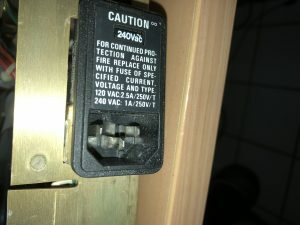 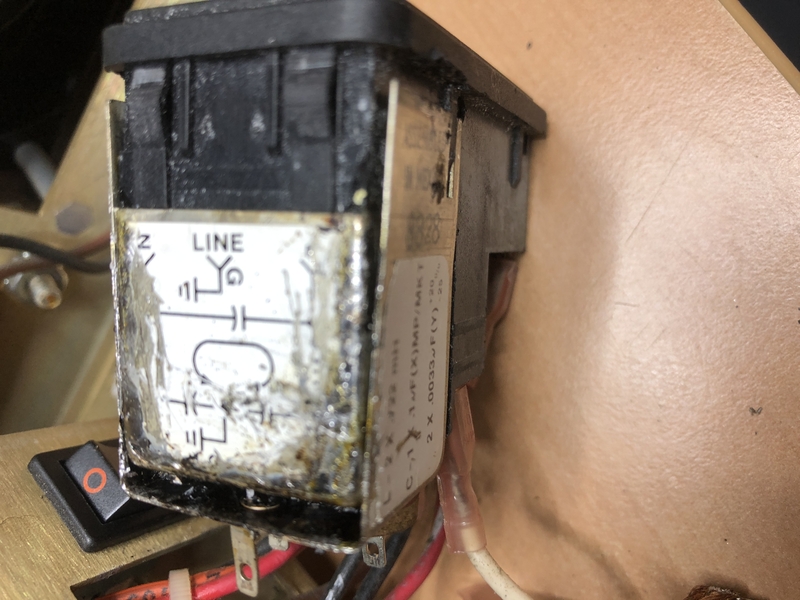 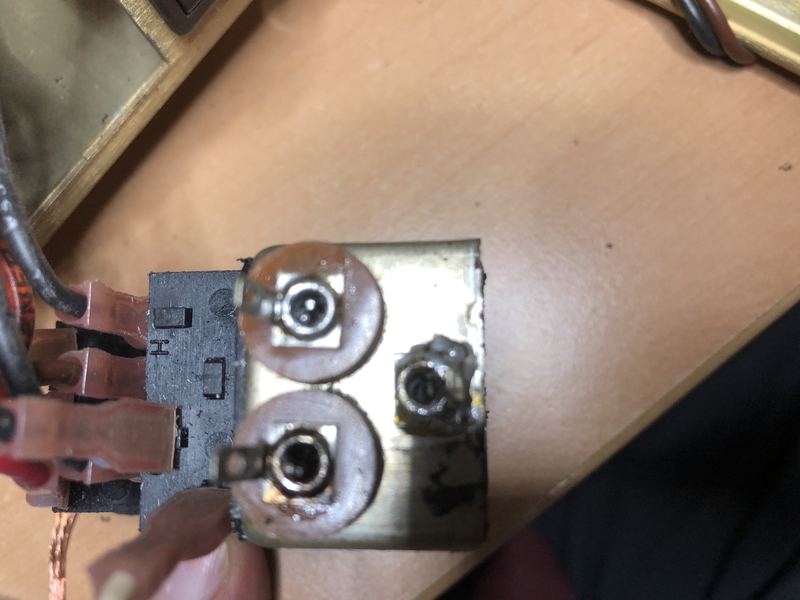 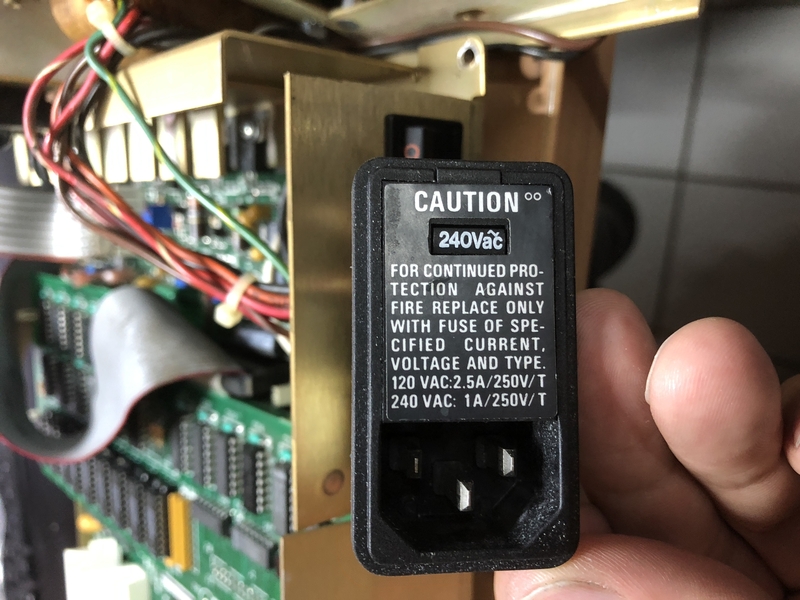 5 Minutes later, the filter filer Cap in the Power Socket has started burning, so that I was in the need to exchange them, in an manner, which keeps the programmer in an original state. 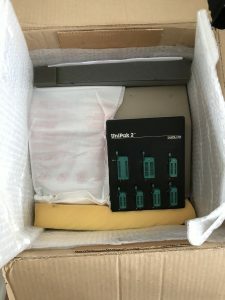 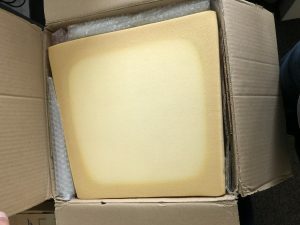 This site is mostly for myself, to document my Hauls, Collection and all related parts. 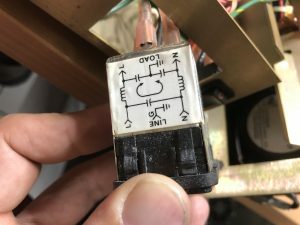 Use the navigation bar to find the topics, … . I’m not an English native speaker, so the stile of writing is simple and in most cases maybe wrong.